Optimising your site to help it achieve a strong search engine ranking is by no means a one-off activity. In fact it is an on-going process which requires collaboration between web designer, marketer and management. And if you are struggling to make an impact with your current SEO efforts, you don’t need to rely upon guesswork to drive tactical adjustments. 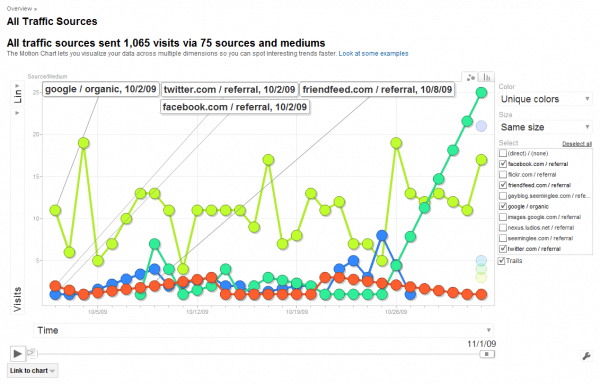 In exploiting Google Analytics, you can access a wealth of information about the traffic that your site is generating. You can use this to build an accurate picture as to the type of users that are arriving on your site, as well as being able to determine what keywords and phrases they have used to find it. Ultimately this will assist you in identifying where any weaknesses in your current SEO strategy may lie, empowering you to make appropriate, effective changes with immediate effect. The expert advice available at https://www.viziononline.co.uk/seo/ can be invaluable for businesses which lack optimisation experience or are unsure as to how analytics can help. Google Analytics is a feature-rich platform that is available both as a free service and as a paid-for premium solution aimed at larger organisations. So smaller firms can start benefiting from the insights that it provides without having to pay a penny for the privilege, while having the option to unlock more functionality as and when it is required. Analytical data can reveal a great deal about site visitors, from the devices and browsers they are using to the amount of time they spend on each page. Google Analytics is also ideal for assessing conversion rates in an era when there are many different platforms and devices involved in the typical customer’s purchasing journey, which might otherwise make tracking activity difficult. One of the benefits of Google Analytics from an SEO perspective is that it is not merely limited to desktop access, but has its own mobile app which provides access to data on inbound traffic even when you are on the move. At a time when more people both browse the web from their smartphones and take their work with them thanks to powerful portable devices, the ability to properly assess site performance while out of the office can be a significant advantage. For further optimisation advice and help with the use of Google Analytics, contact the Viziononline team and get the assistance you need today.